According to a new study, there is a strong evidence that Complementary and alternative medicine is efficacious in Psoriasis. Up to 51% of patients of this disease report the use of complementary and alternative medicine (CAM) in their treatment regimen, reports a new systematic review published in JAMA Dermatology. Gamret AC and associates conducted the review to analyze the evidence on the efficacy of the most studied CAM modalities for treatment of patients with plaque psoriasis and discuss those therapies with the most robust available evidence. The investigators searched the data from PubMed, Embase, and ClinicalTrials.gov searches (1950-2017 to identify all documented CAM psoriasis interventions in the literature. The criteria were further refined to focus on those treatments identified in the first step that had the highest level of evidence for plaque psoriasis with more than 1 randomized clinical trial supporting their use. This excluded therapies lacking randomized clinical trial (RCT) data or showing consistent inefficacy. The search resulted in 44 randomized clinical trials (RCTs), 10 uncontrolled trials, 2 open-label nonrandomized controlled trials, 1 prospective controlled trial, and 3 meta-analyses. A meta-analysis of 13 RCTs involving acupuncture showed a significant improvement in the disease compared with placebo. An analysis of the 5 RCTs (N=215) assessing topical indigo naturalis found that the treatment was associated with significant improvement in psoriasis compared with placebo, while treatment with curcumin (3 RCTs [N=118], 1 nonrandomized controlled study, and 1 uncontrolled study) demonstrated statistically and clinically significant improvements in psoriasis plaques. Fish oil treatment, meditation, and guided imagery therapies were also evaluated in the review. Twenty studies investigated fish oil; most of the RCTs found no significant improvements, while uncontrolled studies showed improvements with daily use. Meditation and guided imagery therapies were studied in 3 single-blind RCTs (N=112) and were found to be modestly effective. The authors concluded that the CAM therapies with the most robust evidence of efficacy for treatment of psoriasis are indigo naturalis, curcumin, dietary modification, fish oil, meditation, and acupuncture. 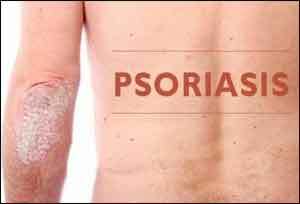 “This review will aid practitioners in advising patients seeking unconventional approaches for the treatment of psoriasis.” write the authors.